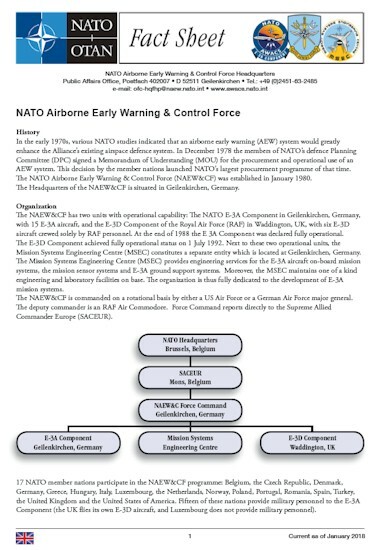 NATO AWACS E-3A | Click on the icon to download the NAEW&C Force factsheet. Home / Media / Downloads / Fact sheets / Click on the icon to download the NAEW&C Force factsheet. Click on the icon to download the NAEW&C Force factsheet.